Short and sweet post today. New MAC lipstick shades make me happy! I have every MAC lipstick from the permanent range that I want to own so newly launched shades make my heart race that little bit faster. These two are from the 'Cremesheen Pearl' range and to the best of my knowledge these are permanent. 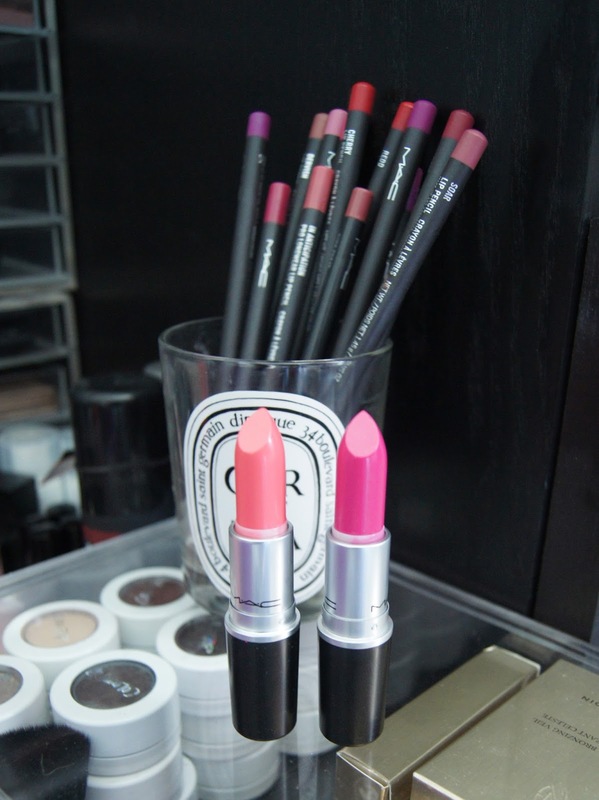 The Cremesheen formula has always been my most favourite MAC formula for it's luminous bold colour. Cremesheen Pearl is sheerer but buildable and infused with tiny pearlized pigments. It's less forgiving on dry lips so moisturise well. Little Buddha is a sheer pale but face brightening pink. 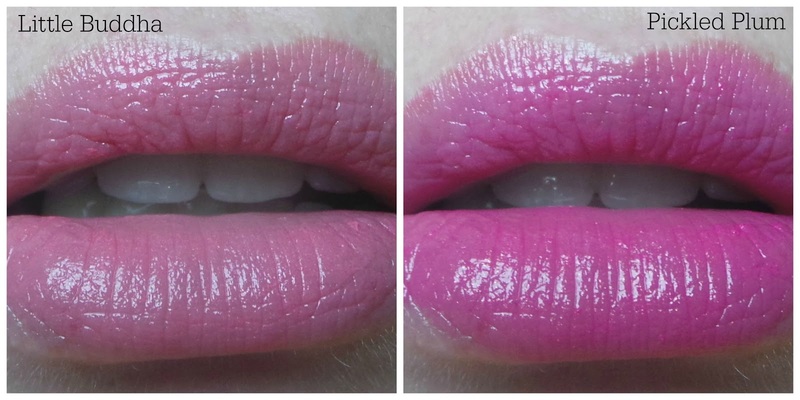 Pickled Plum is more of a sheer blue based hot pink. I love both. Now I know they're permanent I have Star Magnolia, Pretty Boy and Sweet Sakura on my shopping list!